The Planter”s Palette is dedicated to helping people make the most of their outdoor living spaces. The vast selection of wonderful colors, textures, fragrances, and forms make it easy to paint a garden with beauty. We grow the plants. We grow varieties noted for their beauty and suitability to our climate. We produce healthy plants with well-developed root systems that thrive in our customers' gardens. We were the first nursery in the Chicago area to grow our plants in soil enriched with natural, beneficial microbes and organic fertilizers. We offer selection. 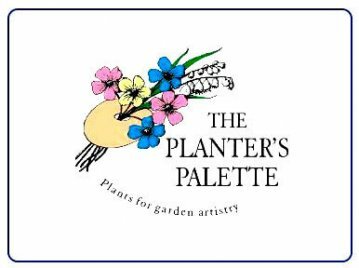 A stroll through The Planter”s Palette reveals a colorful array of annuals, perennials, fruits and vegetables, herbs, and trees and shrubs. It's the best place to find unusual new varieties as well as old-fashioned favorites. We love to help. Horticulturalists are on hand to help gardeners of all skill levels. From design and plant selection to installation and care, our depth of experience means we can offer garden-tested advice. Our goal is to make you happy. "Look into nature... and you will understand everything better."